Copyright © JRGL (Photo & Col.) - This image is copyrighted. Unauthorized reproduction prohibited. 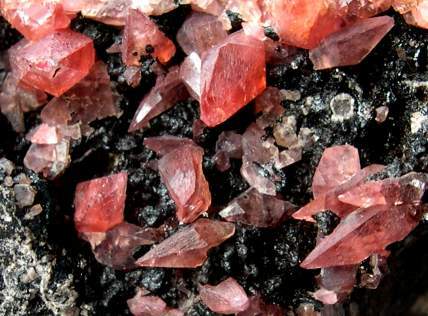 Scalenohedral crystals of rhodochrosite on matrix. 25x35 mm.